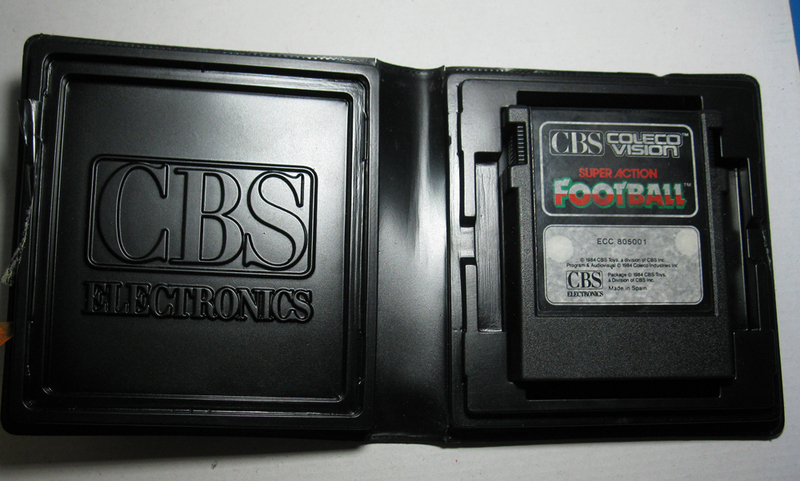 ©1984 CBS Toys, a division of CBS Inc. 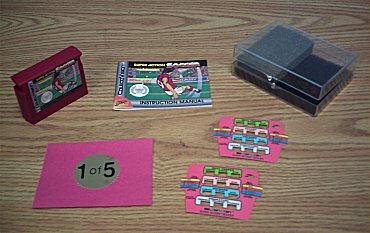 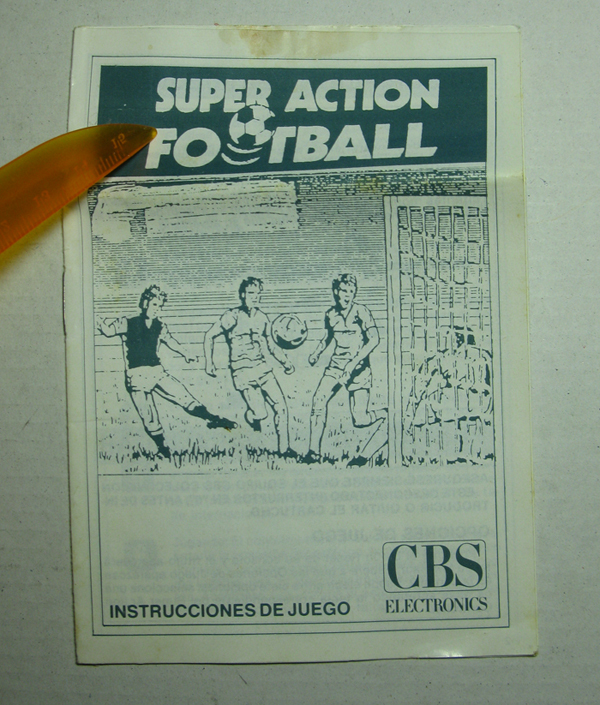 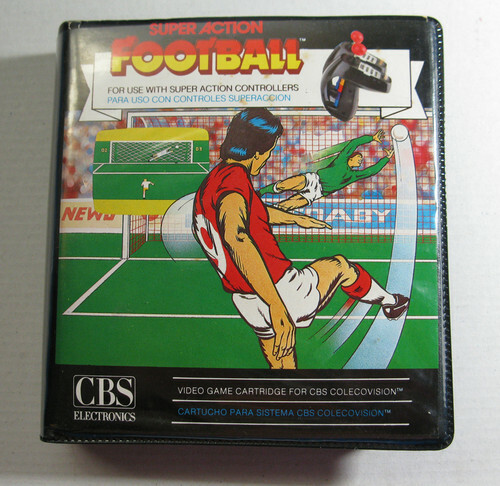 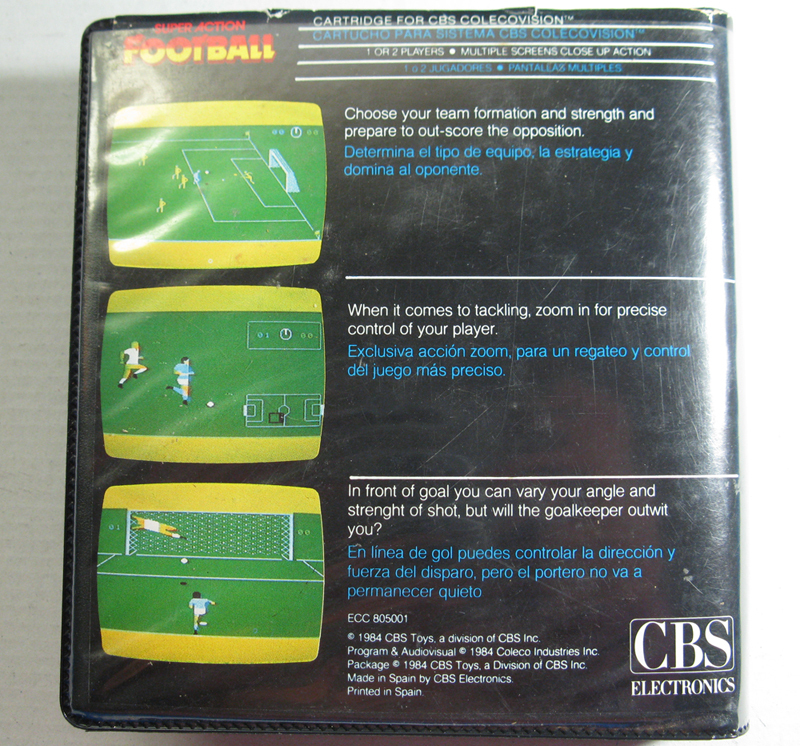 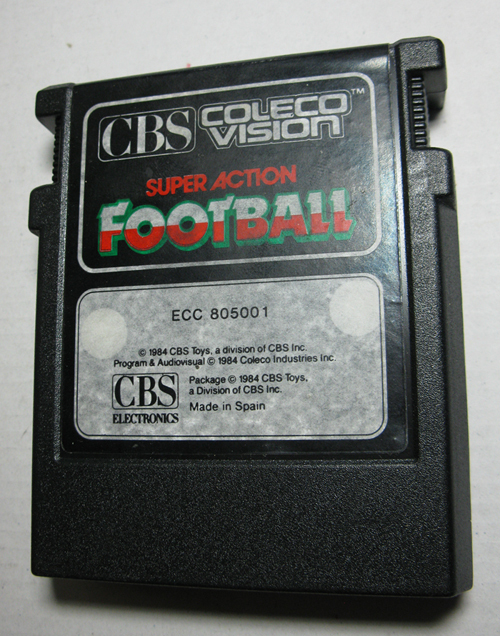 Program & Audiovisual ©1984 Coleco Industries Inc.
Package ©1984 CBS Toys, a Division of CBS Inc.
For the 30th anniversary of the Colecovision, Luc Miron of Team Pixelboy created a limited-edition of this game as it was never released in North-America, renaming it Super Action Soccer. 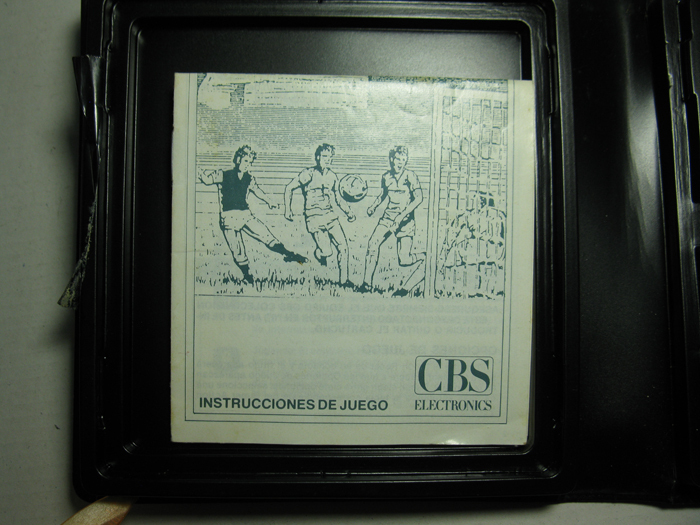 He used Philipp Klaus Krause’s mini-cartridge homebrew kit. 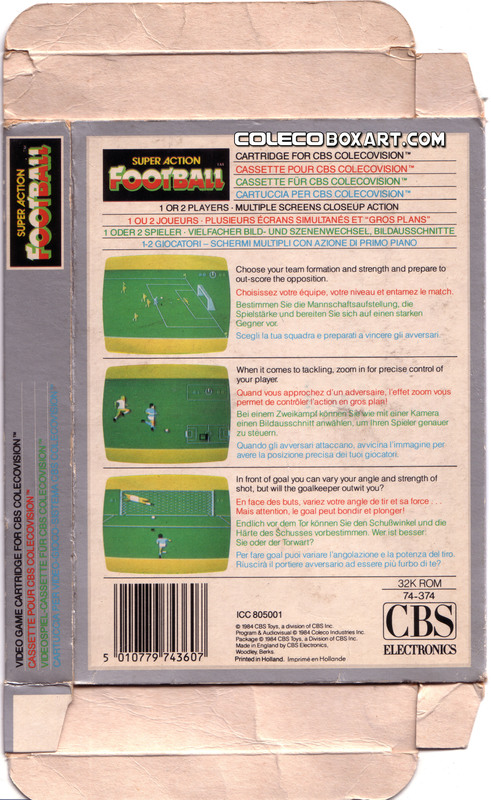 He hacked the Rom to replace "FOOTBALL" by "SOCCER" in the game. 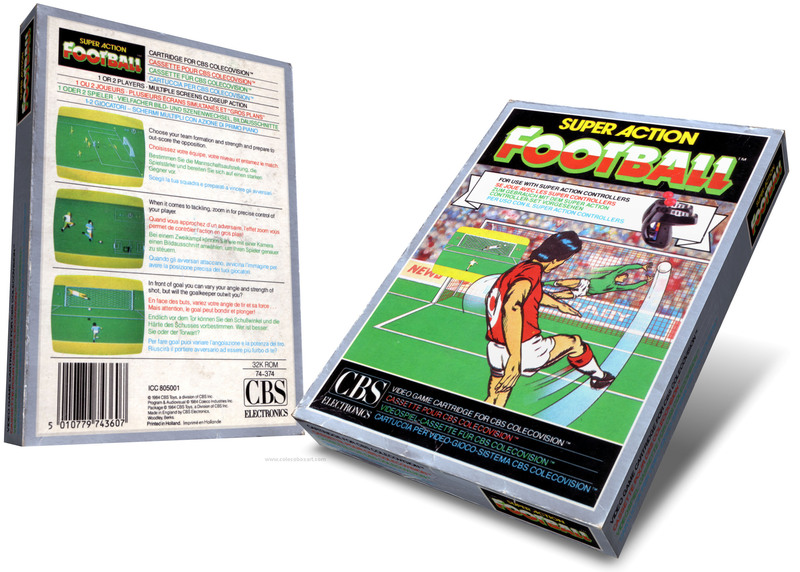 Super Action Football gives you the chance to be the most accomplished star player of any team that ever was. 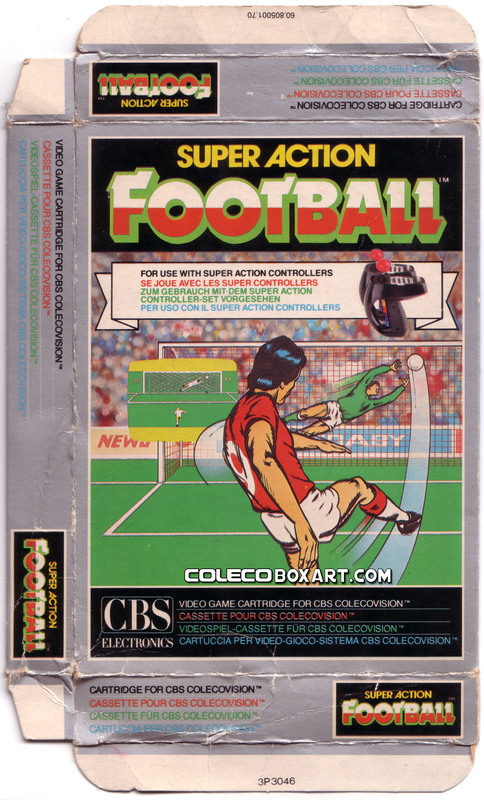 You will be the goal-keeper diving to make incredible saves, the full back with fierce last minute tackles, the mid-field ‘general’ directing shrewd passes and the centre forward scoring great goals. 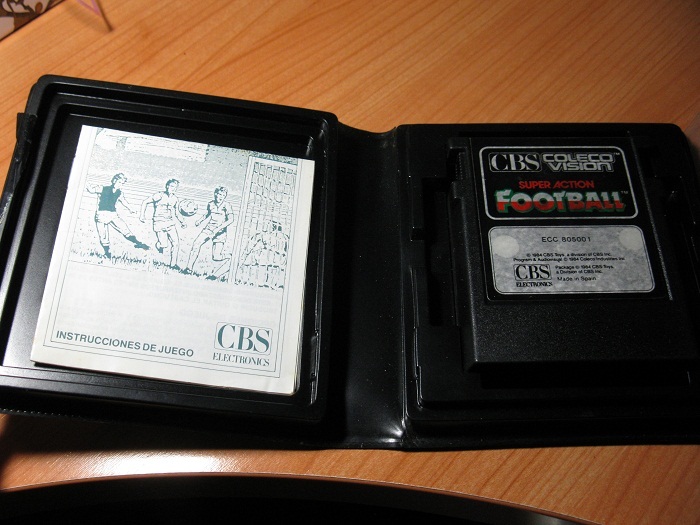 You will be involved all the time in the most exciting moments of the game. 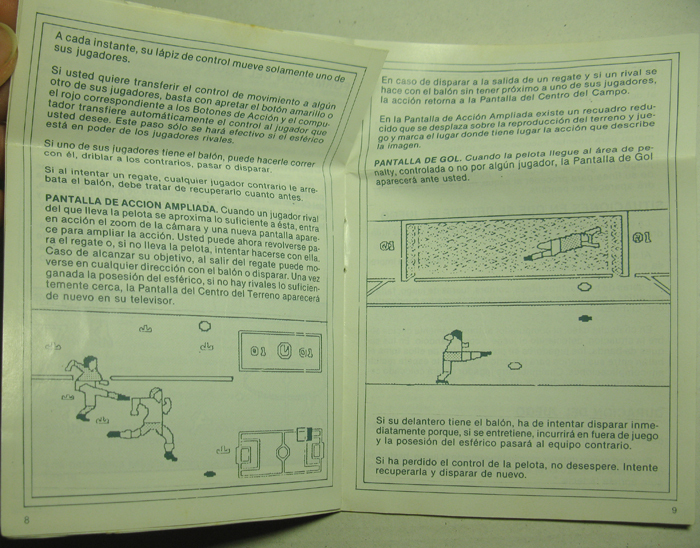 You will score the winning goal. 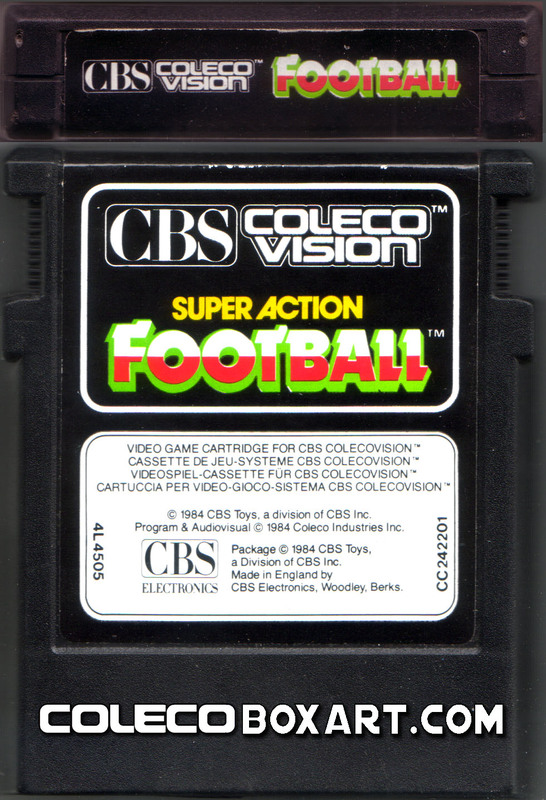 There is another title called "Super Action Football" which is a game of American football and not soccer.